Frank and Joe get revved up to race for their lives! 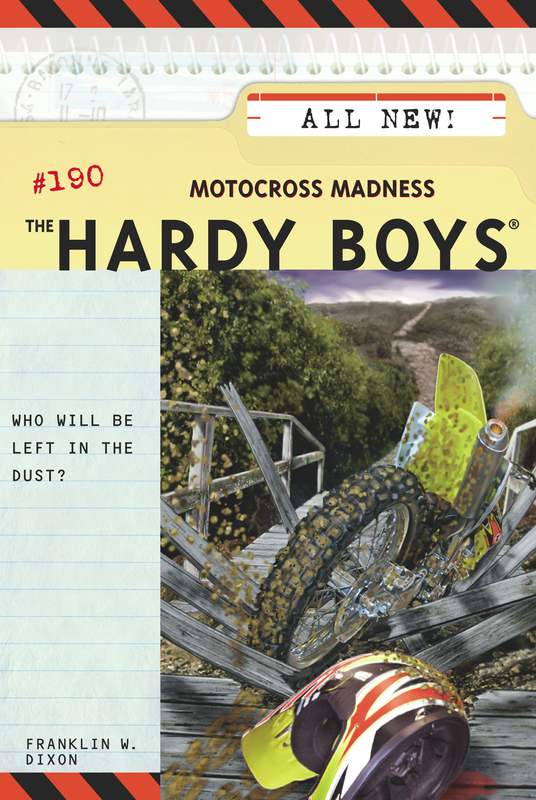 The Hardy boys and their friend Jamal are thrilled to be participating in a motorcycle exhibition. It's going to be an exciting weekend, with many talented cyclists heating up the competition and a valuable prize for the winner -- a classic motorcycle! But when burglaries and suspicious accidents send the benefit skidding out of control, Frank and Joe find themselves racing to crack another case. As the Hardys make their way through the long list of possible saboteurs, danger gains on them. Can they cut the criminal off before the finish line, or is this race speeding toward disaster?